We provide technical support to our customers who require help troubleshooting with their apps. Our monthly paid support plan is priced at $44 which offers a wide range of technical services to suit your needs. 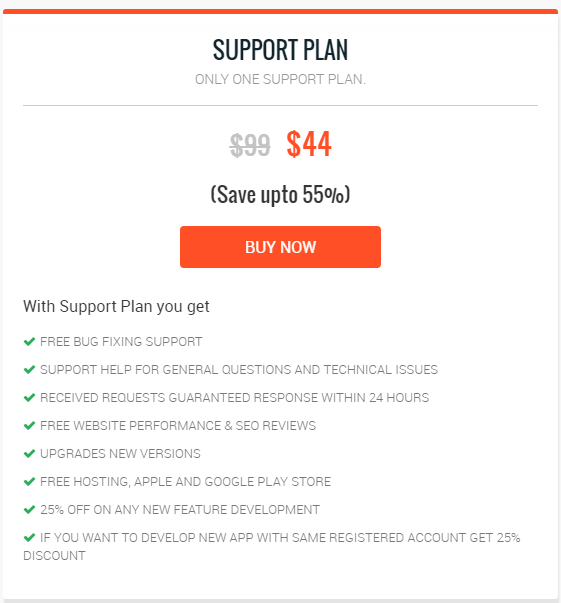 Click here to buy monthly support plan.